The bank is 30% owned by Tencent, which allegedly is looking into Australia to compete with payments company Alipay, its largest rival. WeBank’s digital model means it cuts costs by not having branch networks or all the staff that it takes to operate them. In Australia, this is presenting a problem, as NAB – as an example – was looking to cut its workforce by 6,000. According to its website, WeBank became China’s first digital bank in December 2014 upon receiving its licence. 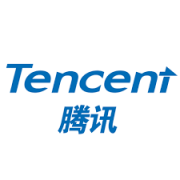 Along with Tencent, other backers include investment firms Baiyeyuan and Liye Group. To find out what banks are hoping to disrupt the Australian market, take a look at our challenger list.